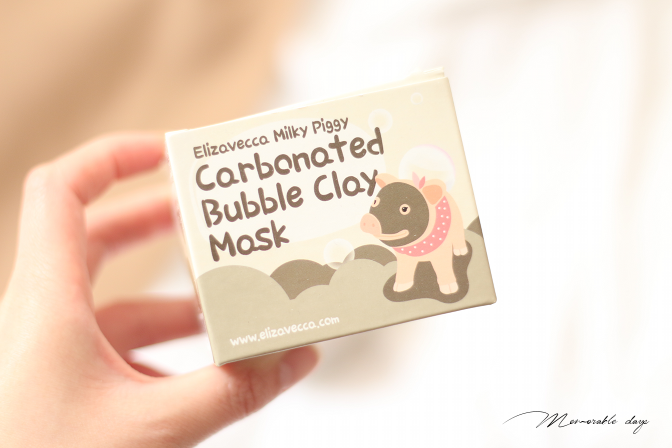 Review: Elizavecca Milky Piggy Carbonated Bubble Clay Mask | Memorable Days : Beauty Blog - Korean Beauty, European, American Product Reviews. 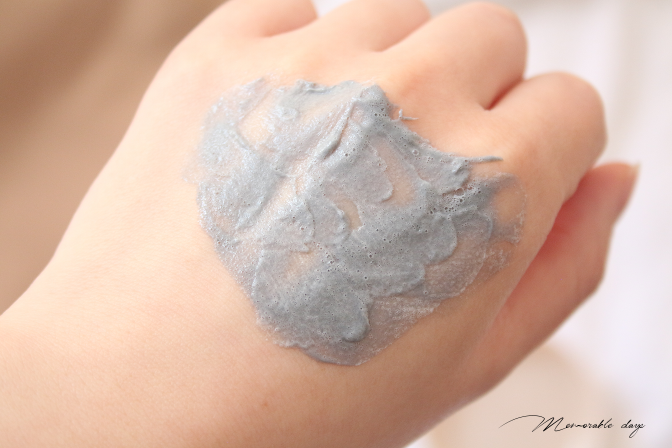 If you are following the Korean beauty trend you might have heard of this mask before. 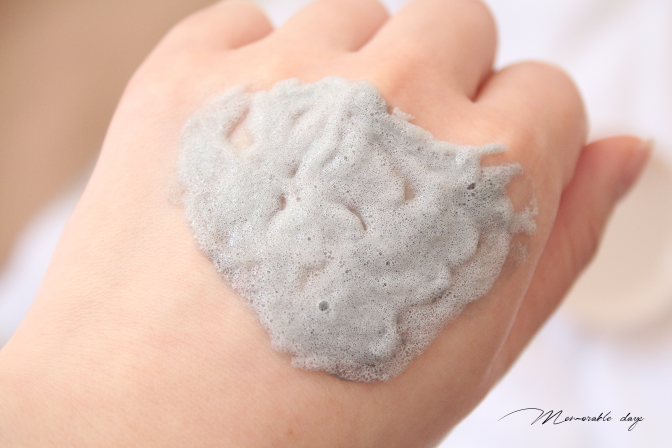 This is the Carbonated Bubble Clay Mask from Elizavecca. I have been seeing this a lot on Korean beauty shows, Korean blogs but also on famous US websites. 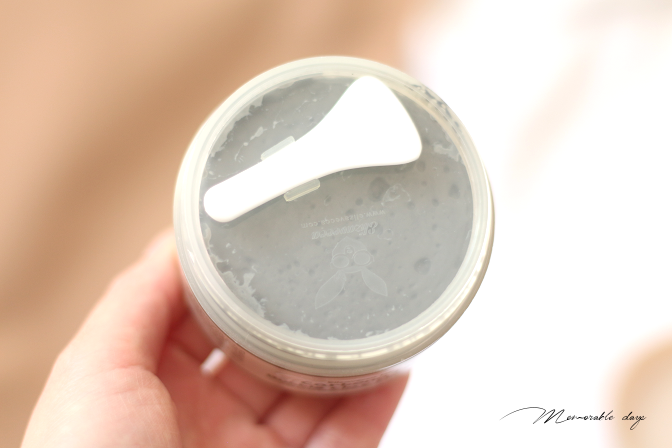 The reason why this clay mask became so popular is because of the texture of this mask - it's a clay mask that bubbles within seconds on the skin! Do I have your attention now?! If you are interested, make sure to check out today's blogpost! 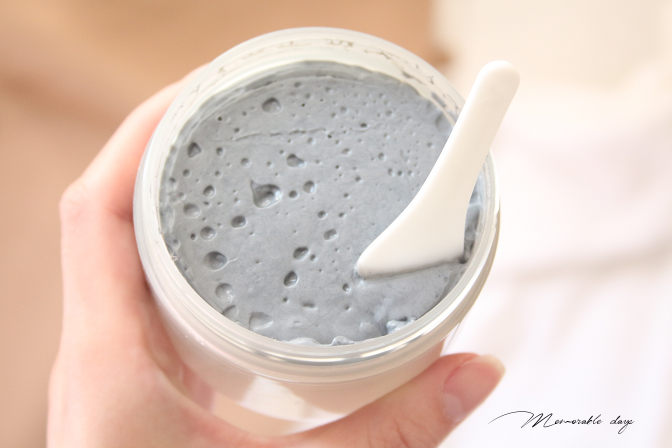 This bubble clay mask is a deep cleansing makeup remover and pore cleanser in one. It contains charcoal powder, that deeply penetrates the pores to get rid of deep-seated dirt while supplying proper nutrients to keep the skin healthy and supple. It cleanses, refines and tightens the pores but it also helps with sebum control. It comes in an adorable packaging with a piggy on it. All in Korean descriptions so I couldn't read it all. It comes with 100 gr. of product. This product is for oily/ combination skin types. At the back of the packaging you can find a sticker saying Elizavecca Original. Make sure you buy the product from a trustworthy shop, Elizavecca added a sticker on the box so you can scrap and check the number to see it it's original. You can check if it's original on their website - here. Once you twist the product open, you will see a spatula and a tight cap. It comes with a spatula that you got to use to get the product out. I wouldn't like to get my nails and fingers in it every time I use it. I do need to clean the spatula every time after usage since the product also bubbles on the spatula lol. Tip: always close the cap after using it so no air or water will go in to keep the product in the best shape and to prevent bacteria's going in. Now the fun part! The texture! 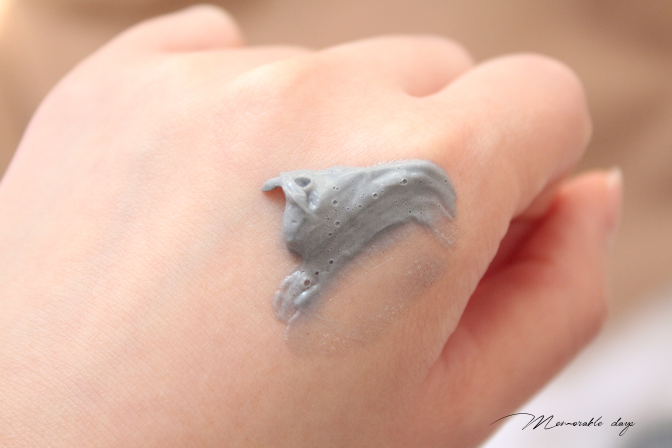 Once opened you can see a gray clay mask, with a jelly texture. When I poked my spatula in the product, it just stayed there, same texture when you do that with jelly. You only need to scoop a little bit for the whole face. It's a little bit hard to spread because of the texture, so some parts may have more product than other parts. That's fine, it will bubble anyway. It has a light chemical scent that is not overwhelming at all. The scent goes away once you have applied the mask. 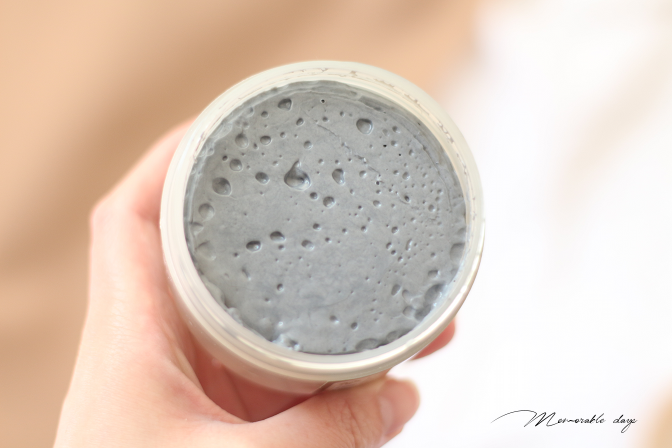 Scoop a proper amount of the clay mask and spread evenly on dry, cleansed or un-cleansed face. Just within seconds you can feel that it starts to bubble. Just leave it on for 5 minutes until a lot of bubbles can be seen then gently massage it all over the face to melt down dirt. Afterwards, rinse it off thoroughly with lukewarm water. It always takes a while for me to remove clay masks, I normally have to rinse for a few times, but now I am using a konjac sponge which makes it easier to remove everything from my face. If you are interested in the ingredients of the product, check out cosdna.com. I first tried it on my hand to see how the effect is. I just scooped a bit on my hand. If you spread it, it has a dark gray color, within a few seconds its starting to get lighter and lighter. After 5 minutes it turned into a light gray color. It's so COOL to see and feel this! It just bubbles and you can even hear the bubble sensation! The carbonated bubbles stimulates the skin to exfoliate dead surface skin cells to bring out a healthy glow while it cleanses the pores. The mask bubbles within seconds, so I was too slow to take a picture when it was still dark gray. However, the bubble effect is definitely visible. After 5 minutes it just created a lot of bubbles. Oh the bubble sensation is so much fun! The feeling is very funny, it's like you are having soda on the skin lol. The sizzling sound of bubbles is also very fun to hear. It just makes me want to look in the mirror non stop to see how the process of bubbling is. I received this product from bbcosmetic.com for review purposes. 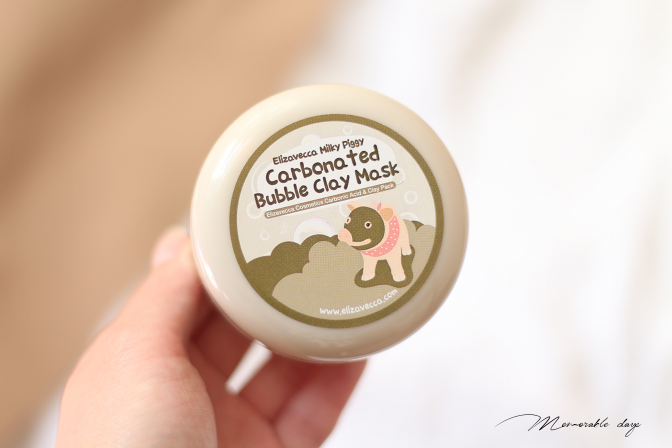 You can purchase the Elizavecca Bubble Clay Mask there for USD$11.10. A very affordable clay mask I would say. It's a very affordable product that contains a lot of product. A little goes a long way. It's great that the scent is very light as well. Luckily this product didn't break me out. I don't have many blackheads but I do have many whiteheads and surprisingly it did work to remove them! Since I have an oily T-zone I try to control my sebum with this product as well, but that matte effect that this product creates on my skin could only be seen after rinsing. During the day my T-zone just gets oily again, doesn't seem like my sebum reduced. I haven't tried to remove my make up with this product and I don't think I will since it's more for oily skin types. I only use this product on my T-zone since that's my oily part of my face. It made my skin tight, it firmed it up a bit and it made my skin very soft and clean. I am in love with the texture. I love love love the bubble sensation. It's a very fun product to try out with friends, your other half or family member(s). Let other people try it and feel the funny bubble sensation together! I recommend everybody to give this fun sensation a try! If you got a lot of whiteheads that are hard to remove, make sure to give this a try! It works! If you wanted to get this product just for sebum control, it's better to search for a different item.